Everyone wants to win the Travers. 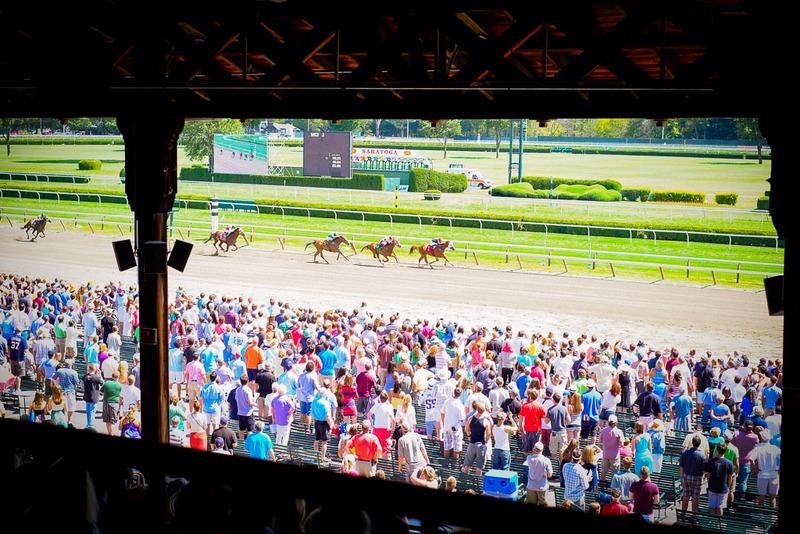 The “Midsummer Derby” is the richest, most coveted race of the historic Saratoga race meet with a purse of $1 million. But it’s not about the money. Sure, 60% of a million bucks is great, but to the owners, trainers, jockeys and horses, it’s about pride. 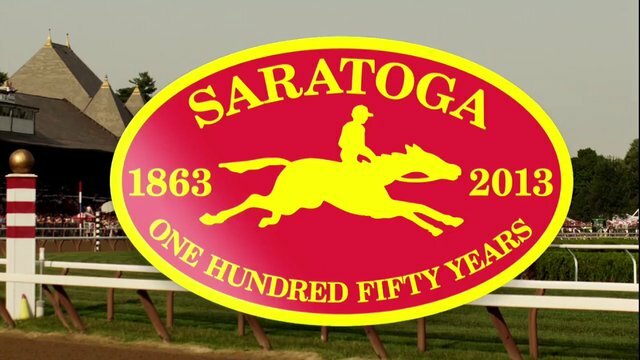 Saratoga Race Course celebrated its 150th birthday this year, making it the oldest sporting venue in North America. Its six-week meeting which stretches from mid-July through Labor Day Weekend is the culmination of all that is horse racing in North America. Six weeks of consistent, quality racing that truly attracts the best of the best. Walking the shedrows in the morning at the Oklahoma training track in Saratoga, would be comparable to walking through the locker room at Madison Square Garden, while the NBA East All-Stars practice. Trainers like Shug McGaughey, Bill Mott, Kiaran McLaughlin, and Todd Pletcher are the great coaches getting their players in top form for some of the biggest games of their careers. So when we talk about America’s Best Racing, Saratoga is the best of the best. It’s the best race meeting commanding our nation’s best talent. The Travers Stakes is Saratoga’s best race. 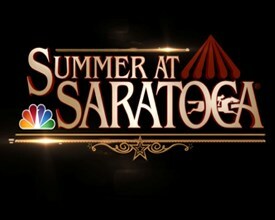 This Saturday will be an epic day for racing fans around the nation as NBC will broadcast live from Saratoga for the Travers from 4:30-6pm EST. So who is running? Kentucky Derby winner Orb, Belmont Stakes winner Palace Malice and Haskell Invitational winner Verrazano highlight a fierce field of nine talented colts. Let’s go through the entire field and get familiar with the connections. Post position one is Romansh, owned by Darley Stable. Darley is Sheikh Mohammed bin Rashid Al Maktoum’s global breeding and racing operation which stands, breeds and races Thoroughbred in several countries worldwide. Darley stands the stallion Bernardini, Romansh’s father, at Jonabell Farm in Lexington, KY. Bernardini won the 2006 Travers Stakes in addition to the Preakness Stakes and Jockey Club Gold Cup for trainer Tom Albertrani and jockey Javier Castellano. Flash forward to 2013 and the Albertrani/Castellano duo teams back up to try for victory yet again with Romansh. Last year’s Travers resulted in a dead heat with Alpha, another son of Bernardini, sharing the prize with Golden Ticket. Alpha was also owned by Darley. Romansh is coming off a win by disqualification in the $100,000 Curlin Stakes at Saratoga. In post position number two we have the 2013 Kentucky Derby winner Orb. 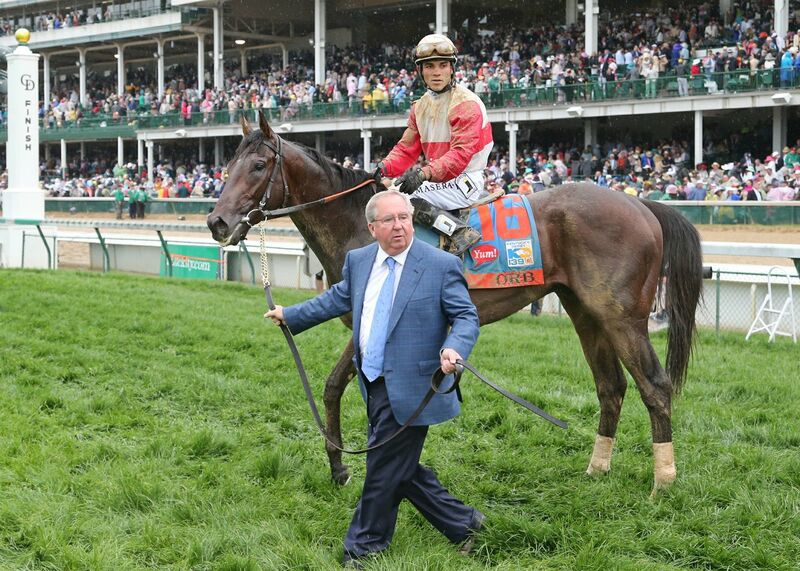 Orb is owned in partnership by the legendary Phipps Stable (Ogden Phipps) and Stuart S. Janney III. Phipps and Janney are first cousins, Phipps serves as the Chairman of The Jockey Club and Janney is the Vice Chairman. Both Phipps and Janney have enjoyed tremendous success over there decades of owning racehorses, but Orb was the first Kentucky Derby winner for either of the two. Trained by Hall of Famer Shug McGaughey, Orb will be ridden by Jose Lezcano after regular rider Joel Rosario suffered a foot fracture on the day before the Travers. After winning the Florida Derby and Kentucky Derby, Orb finished fourth in the Preakness and third in the Belmont Stakes. Four Grade 1 races in a short span of 70 days will wear on any colt, and Orb has spent the last couple of months enjoying some needed rest and relaxation at Fair Hill Training Center in Maryland. 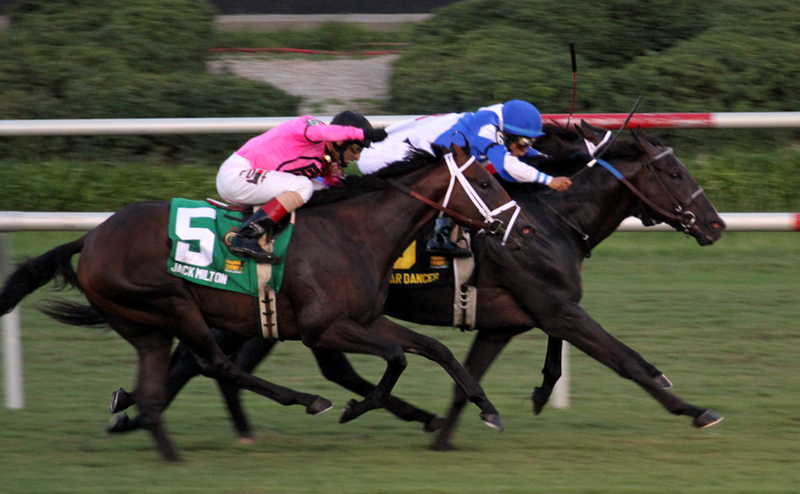 Coming in post position number three is the winner of the Wood Memorial and Haskell Invitational, Verrazano. 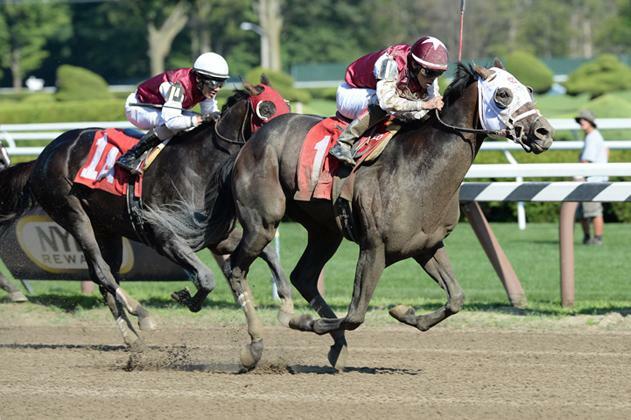 Verrazano is owned by Let’s Go Stable, a partnership between New Jersey natives Kevin Scatuorchio and Bryan Sullivan. Recently, Let’s Go Stable sold part of their interest in Verrazano to Michael B. Tabor, Mrs. John Magnier and Derrick Smith, who are the connections of the international Coolmore Stud. 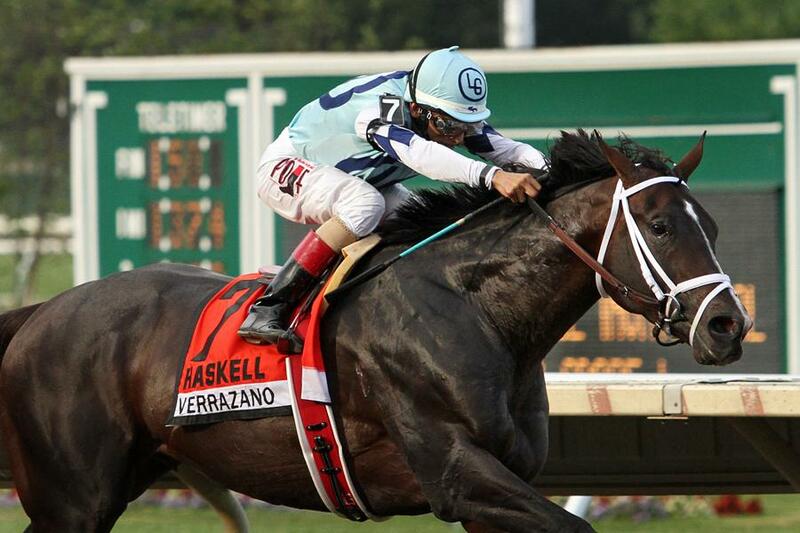 Verrazano’s only career defeat came as a disappointing 14th-place effort in the Kentucky Derby. Since then he has won the Grade 3 Pegasus and Grade 1 Haskell at Monmouth by a combined 19 lengths. He is ridden by Hall of Fame Jockey John Velasquez and trained by leading trainer Todd Pletcher. The Pletcher/Velasquez duo took the 2005 Travers with Flower Alley, and Pletcher conditioned the 2011 Travers winner, Stay Thirsty. Post position four is Kentucky Derby runner-up Golden Soul. Trained by Dallas Stewart and ridden by Robbie Albarado, Golden Soul has had two subpar races since the Kentucky Derby, running ninth in the Belmont Stakes and seventh in the Haskell. He is a homebred of Charles Fipke, a Canadian millionaire who helped establish the country’s first diamond mine. Golden Soul has won only one race in his entire career, a maiden special weight at Fair Grounds last year. 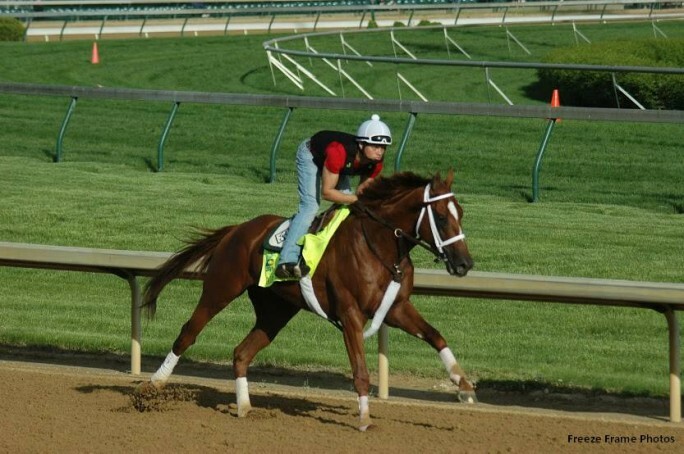 At post position five is Will Take Charge, owned by Arkansas native Willis D. Horton. Will Take Charge had a strong effort last out in the Grade 2 Jim Dandy, finishing a length behind the winner Palace Malice in second. 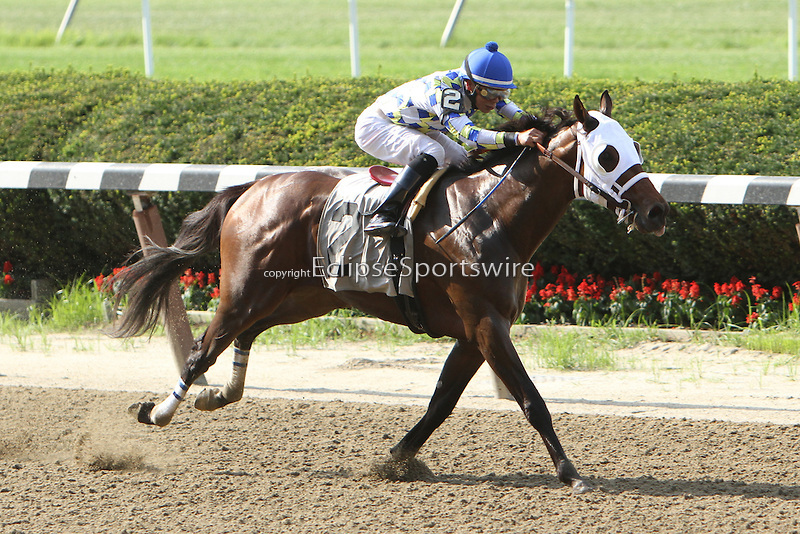 He is ridden by Panamenian jockey Luis Saez for Hall of Fame trainer D. Wayne Lukas. 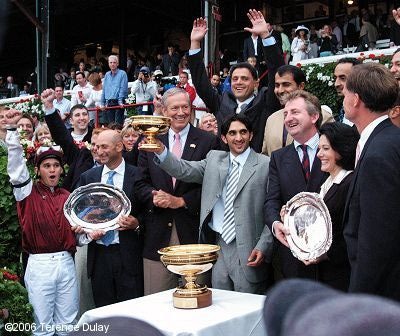 Lukas won the 1991 Travers with Corporate Report and the 1995 edition with Holy Bull. 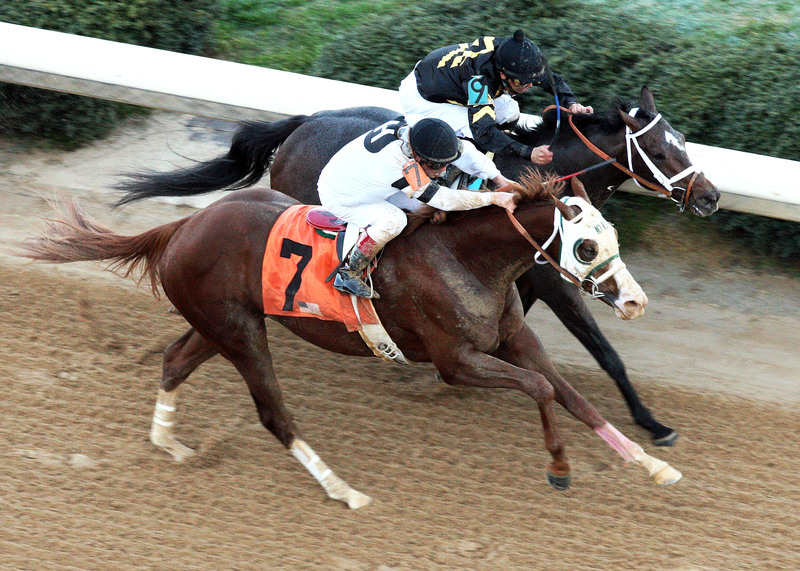 Will Take Charge’s two wins of 2013 have been stakes at Oaklawn Park in Arkansas, one in January, one in March. He raced in all three Triple Crown events this year, but never finished better than seventh. The sixth post position belongs to Moreno, who is named after his owner Mike Moreno who too owns Southern Equine Stables. 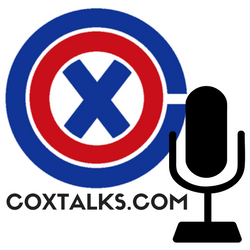 Mike Moreno is a 45-year-old Louisiana native who also owns a gas and oil business and a full-service construction company, based in Houston and Louisiana. Moreno (horse) impressively took the Grade 2 Dwyer Stakes at Belmont back in July and his last start came as a third-place effort behind Palace Malice and Will Take Charge in the Jim Dandy at Saratoga. He is conditioned by trainer Eric Guillot, who is one of Mike Moreno’s partners in Southern Equine. 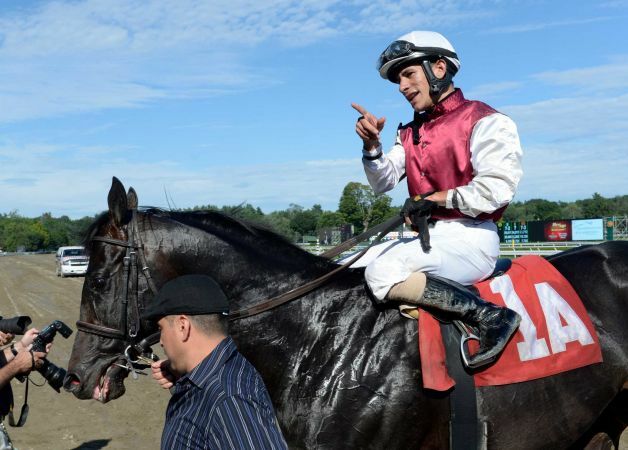 He will be ridden by Jose Ortiz, a 19-year-old native of Puerto Rico who has stormed onto the scene in the New York racing circuit along with his brother, the 21-year-old Irad Ortiz Jr. In post position seven is Magdalena Racing and Diamond M Stable’s War Dancer. Magdalena Racing is co-owned by War Dancer’s trainer Ken McPeek. McPeek shared his first Travers victory last year when his Golden Ticket finished in a dead heat with Alpha. War Dancer is ridden by jockey Alan Garcia, who is coming off one of his biggest career wins last week in the Arlington Million. The 27-year-old native of Peru was also aboard War Dancer in his last start, the Grade 2 Virginia Derby, which was run on turf. In the son of War Front’s seven career starts, he has only finished out-of-the-money one time, which was a fourth place finish at Gulfstream Park, also the only dirt start of his career. It is a bold move for McPeek and co. to take a turf horse to the Travers, so it will be interesting to see how he does come Saturday. Palace Malice is in post eight, owned by Cot Campbell’s Dogwood Stables. Cot Campbell is a legendary owner who has campaigned 77 stakes winners since forming his stable back in 1969. Palace Malice was the first Belmont Stakes winner he has had and on Saturday he will try for his first career win at the Travers. The son of the mighty Curlin is also trained by Todd Pletcher and is ridden by Hall of Fame Jockey Mike Smith. Smith is a veteran jockey and two-time Travers winner, first coming on Holy Bull in 1994 and then Coronado’s Quest in 1998. Palace Malice has really been coming on strong in his last two efforts since a 12th-place finish in the Derby. In addition to his Belmont victory, he also took the Grade 2 Jim Dandy at Saratoga. He knows the track and should put forth another big effort come Saturday. Rounding out the field in post nine is Godolphin Racing’s Transparent. Godolphin Racing and Darley are both owned by Sheikh Mohammed who we mentioned earlier with their other entry Romansh. It’s is rather unknown how or why the owner changes the name of his horses from time-to-time, but in Transparent’s last start he was racing under the name of Darley Stable. Darley, er Godolphin rather had Alpha who won last year’s Travers with Golden Ticket as mentioned earlier too. Transparent won the Curlin Stakes at Saratoga in his last start, but then was placed fifth due to a disqualification, wherein his stable mate, Romansh, was declared the winner. Transparent is also a son of 2006 Travers winner Bernardini, and is trained by Kentucky-native Kiarin McLaughlin. McLaughlin was the trainer of last year’s co-winner Alpha. Analysis: I will be rooting for Orb and am optimistic that he comes back in top form from his layoff. 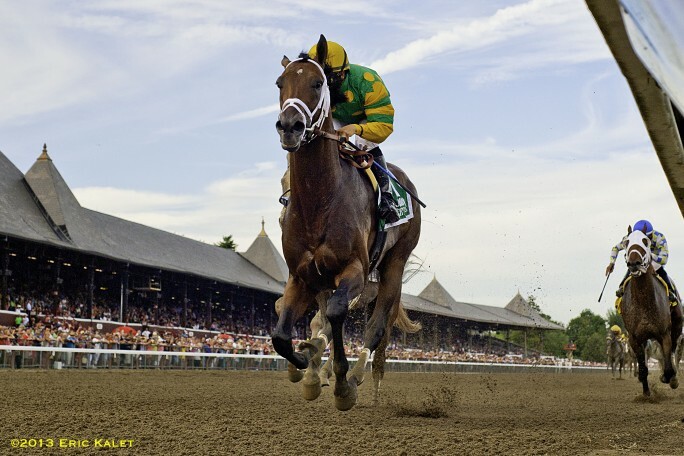 I also think Palace Malice will put forth a strong effort and would not be surprised if he took this one from Orb late. I believe Verrazano will go to the front with speedster Moreno to his outside. Verrazano did not like horses to his outside in the Derby. I think Moreno sets blazing fractions as Verrazano will try and keep up, thus burning themselves out before the last furlong or two. I think Will Take Charge will get lost in this big field and I don’t really see Golden Soul being much of a factor either. War Dancer as I said before is another big question mark on the dirt. I could maybe see Romansh coming in late but probably not better than fourth and I do not think that Transparent poses much threat. My pick was Orb before Rosario went down but with the rider change I have to go with Palace Malice in this one. Giddy up.